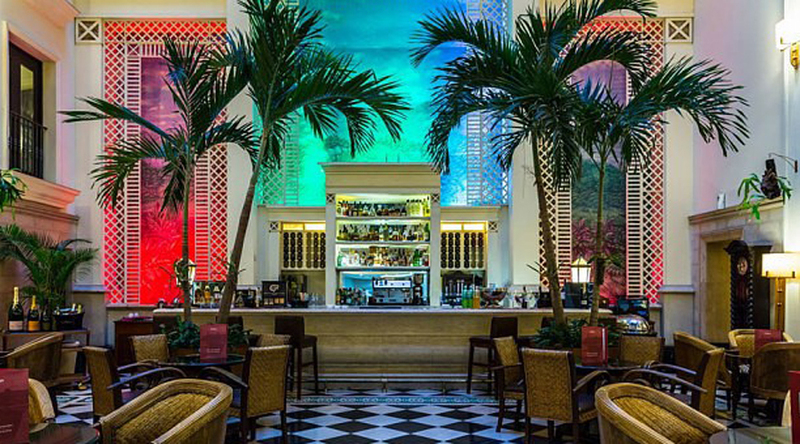 The boutique hotel is one of the city’s prime hotels, located on the fringes of Old Havana. Here the prime spot is the Terrace Mirador, perched on the top floor, where you have a spectacular 270 degree view of all Havana, including the Capitol building, the Grand Theatre, the bay and Caribbean. This Terrace has several sightseeing levels, a rectangular swimming pool, a gym and a Bar Restaurant offering light food, such as pizzas, sandwiches, grilled meat and fish, etc., as well as exquisite dishes from the international cuisine. Room decor is relatively traditional, with velvet furnishings, mosaic-tiled bathrooms, and contemporary art. In the “Expensive” category, but worth it.